The most famous Venetian beads are the Millefiori, which translated from Italian is "thousand flowers". 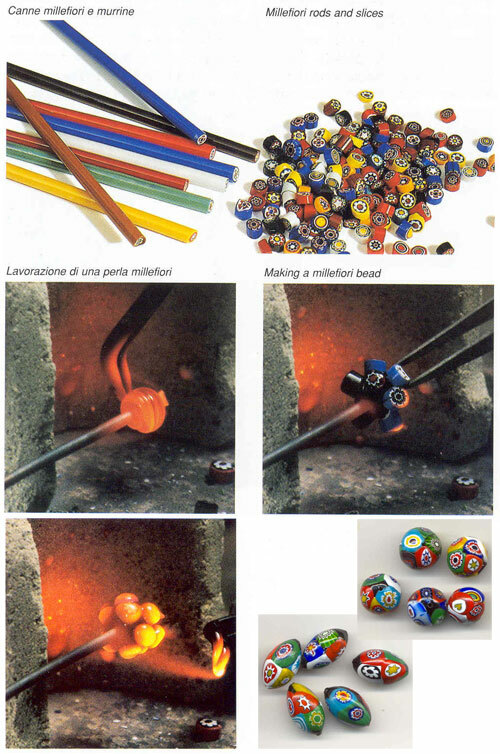 Each bead is handmade under the flame, using world famous Murano glass canes or rods. To see the many Millefiori products, click on the Subcategories below.